Germany-based software firm SAP has started the selection process for the first batch of participants in its SAP.iO Foundry Singapore, an initiative aimed at helping early-stage Southeast Asian startups focused on technologies such as machine learning and blockchain. 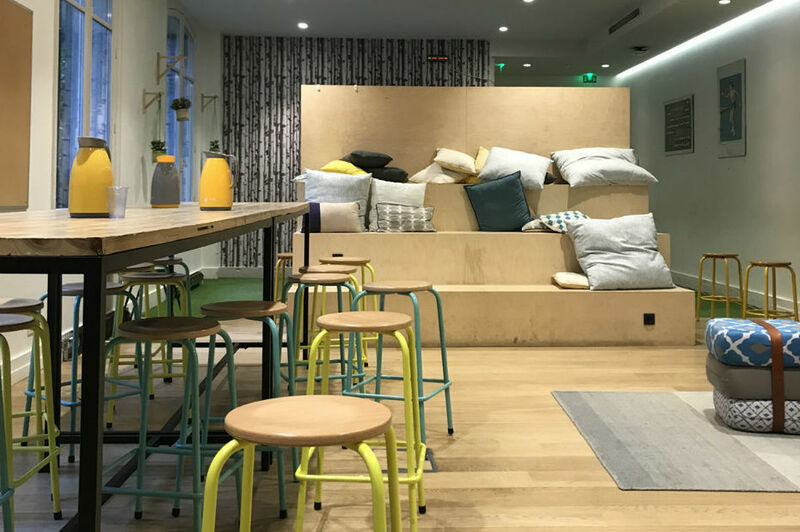 Sap.iO Foundry Paris intègre 8 nouvelles start-up retail. Voici ce qu’elles font ! Pour la deuxième promotion de son accélérateur parisien, un comité d’experts composé de collaborateurs SAP et de clients retailers a sélectionné 8 start-up de la retail tech. Toutes centrées autour de l’expérience client, ces jeunes pousses seront immergées au sein de SAP.iO Foundry Paris pour 10 semaines. Les nouvelles recrues ont été dévoilées ce 3 avril 2019 lors de l’événement CX Revolution 2019. Voici leurs portraits. SAP has unveiled SAP.iO No Boundaries, an initiative to fund and incubate startups led by women and minorities. The goal is to help at least 200 startups around the world within the next five years. SAP announced SAP.iO No Boundaries, an initiative to offer venture capital and incubation to underrepresented entrepreneurs. On Sunday, January 20, software giant SAP became the latest company–and, it says, the only business software company–to target a share of its venture investments directly to women and underrepresented minorities. Its fund, called SAP.iO, was launched in 2017 and invests in business-to-business startups that are a fit with SAP’s own technology platforms. With $35 million to invest, it’s already put about $4 million to work in 15 companies, 60 percent of which are in the U.S. Now, under an initiative called SAP.iO No Boundaries, the fund will invest 40 percent of its money in women and underrepresented minorities, says SAP chief strategy officer Deepak Krishnamurthy. He says the company will start ramping up its Asia-Pacific focus within the next year. German multinational software firm SAP SE has announced the launch of the SAP.iO No Boundaries initiative, which seeks to invest in entrepreneurs from underrepresented groups. Proving that a small input can have a big output. Cookies are important to the proper functioning of a site.